Heyyyyyyyy! I got some awesome Christmas presents that I can’t wait to show you guys. 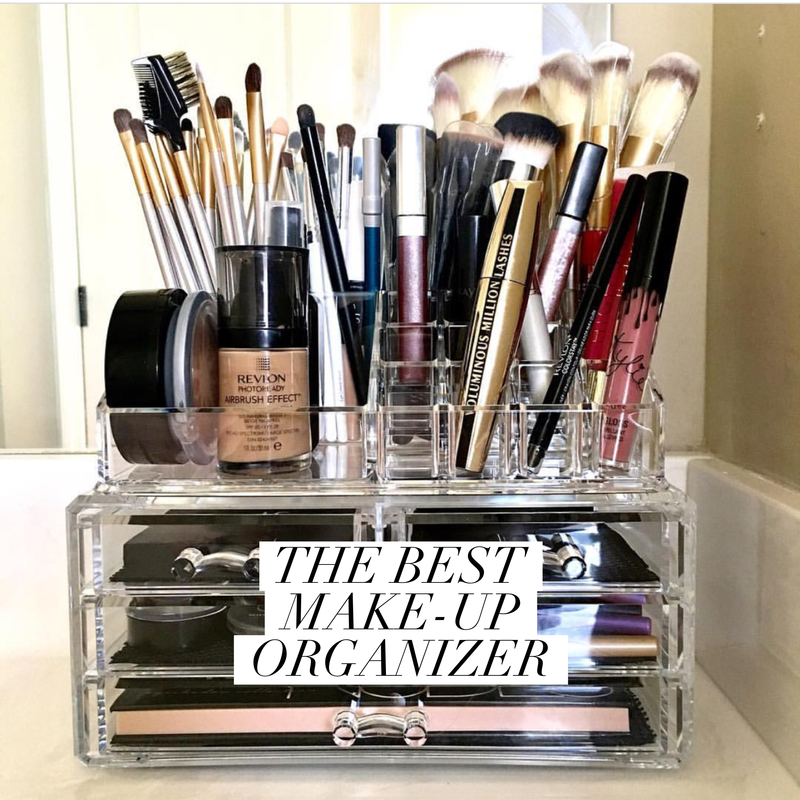 I posted a clear acrylic make-up organizer earlier that everybody (including me) is dying over. I wanted to give you a review and give you the link! First of all, it’s awesome. Duh. Second, I love that it’s clear. Some people want to hide all of their stuff, but I love that I can see everything! I love that it can hold all of my brushes and a lot of my make-up in it. If I have any complaint it’s that I should have asked for 2 lol. This thing is already full and I have more stuff to store, so I”ll def be grabbing another one! It comes in 2 parts. The top part where the brushes are detaches, so you can store it somewhere else if you want. I’m thinking I may buy another one and remove the top of the second one for storage in a cabinet and stack my drawers on each other so it’s extra tall! It comes in different sizes. The one I have is the medium one. I would have gotten the bigger ones but they didn’t come in clear and that was the whole point for me! Also, they cost more soooooo yeah. I also love that it’s portable. If I need to ever store it for some reason, it’s super light and not permanent. It’s acrylic so it’s pretty sturdy, but not heavy. My FAVORITE thing of all is the price! It’s only $15.99! Such a good deal for the look and the functionality.